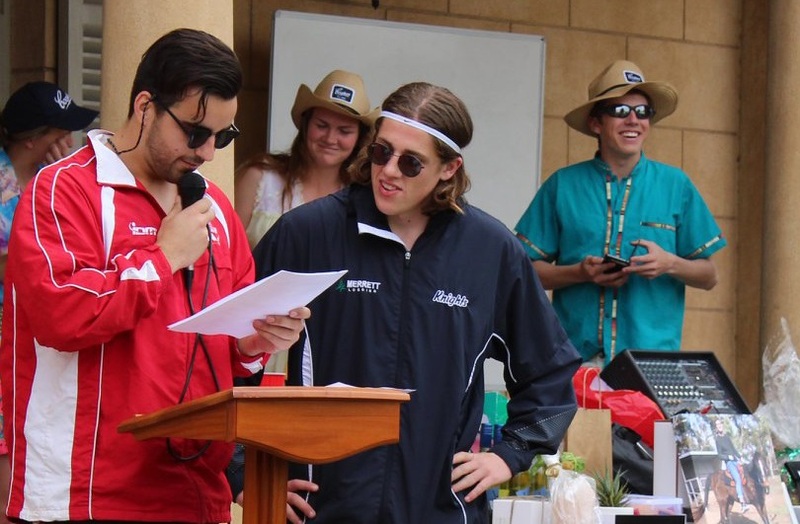 In an impressive display of generosity, the students of Aquinas devoted their Labour Day public holiday to fund-raising from their own pockets. The ‘Annual Donation’ took place at the College during Monday afternoon, with a four-hour auction of a range of donated items, raffles, and plenty of fun activities. Over $5,000 was raised on the day. Event organiser, Tori Kitschke, was delighted with the response of her fellow students. Student Club President, Eliza Boulton, described the day as ‘the best Monday of the year’. Photo: Auctioneers Nick Walters and Jack Armfield kept the afternoon moving along.